For the history of the Ninja Turtles, check out the post here. 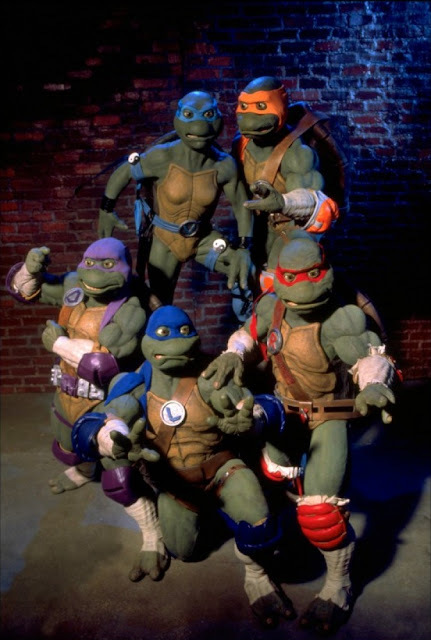 The black sheep of the Teenage Mutant Ninja Turtles franchise, Ninja Turtles: The Next Mutation was a loose continuation of the live-action movie trilogy that began in 1990. Franchise co-creator Kevin Eastman had been working on the fourth movie since the release of the third, but nothing had ever materialized. Saban Entertainment acquired the rights to the franchise and produced the show utilizing ideas that would have been seen in the film. The five (yes FIVE) Turtles: Venus, Mikey, Donnie, Leo and Raph. Like the movies, the Turtles were portrayed by actors in full rubber suits with voice actors providing their dialogue. Along with Leonardo (Gabe Khouth, Shishir Inocalla & Michael Dobson), Donatello (Richard Yee, David Soo & Jason Gray-Stanford), Michelangelo (Jarred Blanchard, Larry Lam & Kirby Morrow), Raphael (Mitchell A. Lee Yuen, Dean Choe & Matt Hill) and Splinter (Fiona Scott & Stephen Mendel), the heroes were joined by a new fifth turtle: Venus de Milo (Nicole Parker, Leslie Sponberg & Lalania Lindbjerg), who was also in the jar with the others but ended up in Chinatown where she was raised as a mystical ninja. 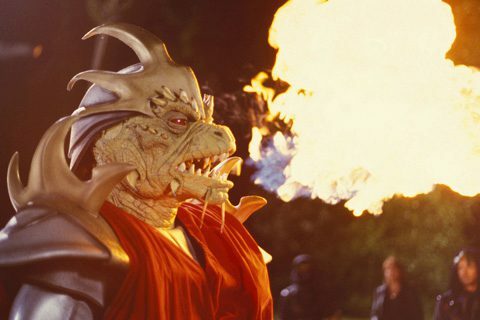 The Foot Clan and the Shredder (Patrick Pon & Doug Parker) appeared in the series’ opening episodes, but were replaced by the Rank: a group of evil dragons led by Dragon Lord (Gerald Wong & Christopher Gaze). Other changes included the Turtles no longer being blood-relatives (so as to allow a potential romance between one of them and Venus), minor alterations to their weaponry, and the lack of their usual supporting cast, reporter April O’Neil and vigilante Casey Jones. Ninja Turtles: The Next Mutation ran for a single season as part of FOX’s Fox Kids programming block, plus a crossover episode with Saban’s other program at the time, Power Rangers in Space. However, the series failed to perform well in the ratings. Since FOX didn’t own the show or the characters and didn’t receive as much profit from airing it, they saw no reason to continue financing its production. It was the first time the Turtles had been off the air for an extended period of time since the debut of the first animated series in 1987. The show has largely been ignored in Turtles continuity, and co-creator Peter Laird has gone on record with his hatred of the Venus character. In the years since its cancellation, it has aired internationally almost consistently, finally returning to the United States in 2013 when the now-defunct Hub Network aired it on Saturday mornings.